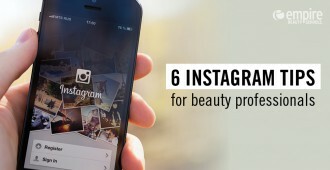 Are you an aspiring cosmetologist with the dream to become a Platform Artist? 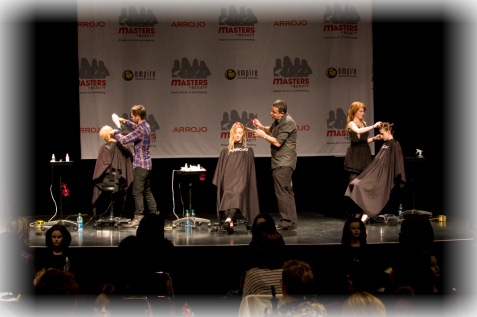 Being a Platform Artist is one of the most exciting careers within the cosmetology field. Why? Well, it allows you to travel from city to city, maybe even outside the country training, inspiring others and educating them on the newest trends and techniques. Sounds pretty cool, huh? With a lot of hard work, passion, dedication and a great personality the sky is the limit. 1. Network, network, network…. Go to trade shows, educational events and follow as many industry icons, product manufacturers as you can through websites, blogs, facebook, twitter and other social media networks. Be a part of it all; you never know what kind of opportunity may arise for you. 2. Create a Portfolio – Put together shots of all your work. If it is possible try and have your shots done professionally. This will show prospective employers your true creative ability. 3. Gain Experience– It takes a couple of years of experience to sharpen your skills and to prove that you have the ability and the gift to become a platform artist. Most get their start by working part-time as an educator for a product manufacturer or supply company; going into salons and educating stylists on their products while also working full-time in their salon. 4. Build Sales Skills– Part of being a Platform Artist is also having the ability to sell, whether it is getting the audience to believe in the technique you are teaching, why this is the best innovative hair color or the latest pair of shears. The company you represent needs you to move these products; you are their star salesperson at the beauty trade shows. 5. Stage Presence– One of the key aspects of being an illustrious Platform Artist is to have good stage presence. In order to get your audience to believe in what you are telling them, you need to be confident and comfortable on stage. Learn how to excite your audience by engaging and being enthusiastic. 6. Keep Educating Yourself– As a platform artist you will be working on stage at beauty trade shows, advanced educational events, and some industry events. Even while you are training others, the training doesn’t stop for you either. Any free opportunity you have you must also continue to learn and develop new techniques that will set you apart from others. Being a Platform Artist, is very glamorous but it does take a lot of hard work, long hours and lots of travelling. Even when times seem challenging, don’t give up on your dream; it’s those that push through and have the confidence that succeed! Who is your favorite Platform Artist? What other questions do you have about being a Platform Artist? Empire Beauty School is a leading cosmetology and beauty educator with 89 beauty schools and cosmetology schools in the United States. Empire Beauty School offers a variety of beauty programs and cosmetology courses including cosmetology, esthetics, make-up artistry, and cosmetology educator training. We don’t offer any classes on being a Platform Artist however, we do offer the cosmetology educator program in most of our schools. 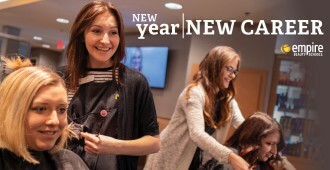 For more information about that program and which locations offer that program please click on this link – http://www.empire.edu/programs/cosmetology-educator. Hi! My name is Kierra. I am 20 years old and I’ve been a licensed cosmetologist for about a year now. I know that I have a lot of experience to still gain, but one of the things that I dream to be is a Platform Artist or a traveling cosmetologist. (to do hair and make up for shows that people have.) I am know working in a salon…. and i know this is wayyyyyy out on the limb for me to do but if you know of anyone that is a traveling cosmetologist or a Platform Artist and needs an assistant I would LOVE TO HELP! I really want to experience that life. It seems to be a lot of hard work and dedication but it also seems to be very rewarding. You are more than welcome to email me at any time. Thank you! Very interested in becoming a platform artist. I’m currently attending Blake Austin Beauty College in cosmetology. I would like any feedback, shows, senimars etc.. in northern California.